RALEIGH, N.C. (WLOS ) -- The first all-female spacewalk will not take place in March as previously planned, according to NASA. 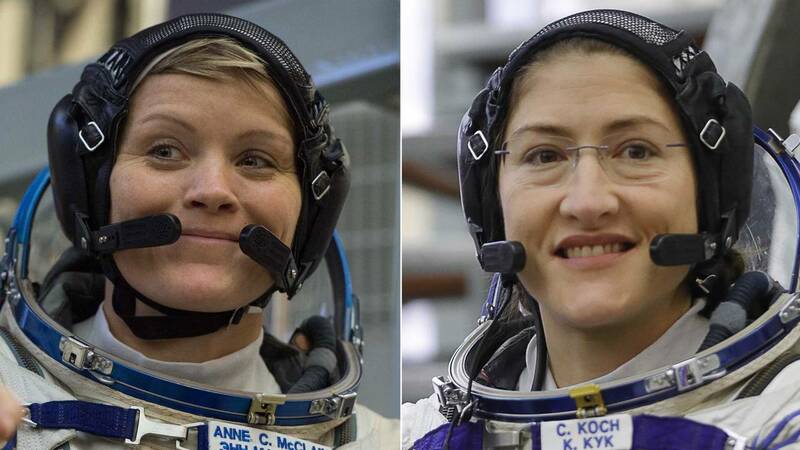 Christina Koch and Anne McClain were supposed to do a spacewalk at the International Space Station on March 29. That would've marked the first-ever spacewalk featuring only women. However, NASA said a shortage of correctly-sized spacesuits forced the agency to change its plans. McClain and Koch will still get to perform spacewalks, just not together. On March 22, McClain became the 13th woman to walk in space; Koch posted to Twitter showing the team preparing for that spacewalk. After her first spacewalk, McClain learned the medium-size hard upper torso fits her best. That is the same size Koch prefers. NASA said only one medium is available at this time. Being in space can impact astronauts' bodies differently. McClain said she has grown two inches since leaving Earth, possibly resulting in this sizing conflict. NASA cited the spacesuit sizes as a reason for the changes to the spacewalk assignments. Koch will perform the March 29 spacewalk with astronaut Nick Hague. That mission will make Koch the 14th woman to perform a spacewalk.